Looking for recommendations for private schools in the surrounding area (from Brooklyn Heights to Carroll Gardens) besides St. Anne’s, Packer, Poly Prep or Friends. K through 8 and beyond. Thank you! dl;dr: One level. Trucks only. Cover the trench. I’m beginning to think we should just tear it down. If that has unbearable consequences than build it again, but Stringer names a lot of Expressway teardowns that worked. I think you’re too smart for that post. Maybe, you were thumbing while you were stuck in traffic. It’s RUSH HOURS that are the killer, … and while it would be interesting to try to legislate “breaking up” ANY vestige of a 9-5 workday, in the absence of that, the BQE is like one’s left carotid artery – THEORETICALLY, you could do without it, but I sure wouldn’t want to be among the first few where that operation was attempted. When you get past “jokey” proposals … or really unrealistic ones, you’re left with – probably – not much more than the 2 or 3 that have garnered the most attention. And it’s a lot like the 2016 election – you almost HAVE TO make a choice, even if none rises to “good.” And as with 2016, only a handful of imbeciles (well, a few million back then) would think that the least bad choice wasn’t SO MUCH BETTER than the alternatives that one shouldn’t bother expressing a preference. Just heard our new Public Advocate on WNYC. In discussing the Mayor – calmly – Mr. W. said his style is to do things TO PEOPLE … not WITH PEOPLE. The BQE is a very good example of that (HORRIBLE) style. It’s pilot season again; just got a notice for a production company looking for an apartment to shoot scenes in next month. Nocembo, Your posts are beyond confusing, I just cannot keep up! A more straightforward approach would be more palatable for me (and maybe others?). What could be better than this proposal? Essentially a tunnel without the digging, right? More green space. Costs less. I am a fan. 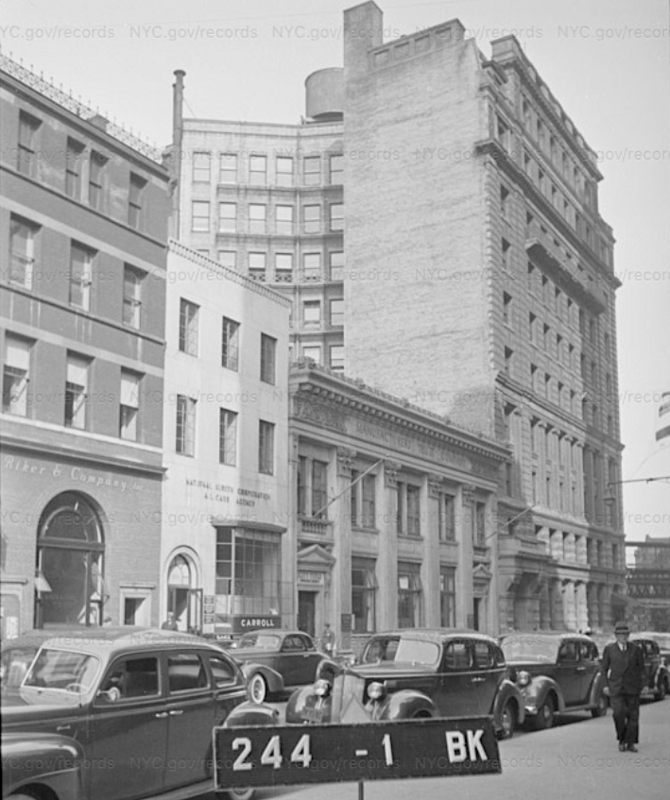 Thankfully 150 Henry St has been rented and will not be used for film shoots. There were 2 back to back last year and the trucks would pull up at 5am and the crew would unwind on the sidewalk at 11pm. Nightmare. I love the Stringer proposal – would be far better to cover it up and make it truck only. Bravo. During rush hour, either route will take 20-50 minutes. I’ll take that over giving the kids at PS 8 a lifetime of asthma. 29 and 31 minutes when both routes exist. If you shut down the BQE and route all that traffic to 3rd avenue I expect that 31 minutes will go up quite a bit. Add that to the health costs, and I don’t think the BQE cantilever is worth it. 2. Stringer et al who tout examples of highways that have been eliminated, without severe repercussions are making a false comparison. Most of those highways were in much smaller and newer cities, with plenty redundant roadways available. I 278 is the only direct access Brooklyn, Queens and the rest of Long Island have to the South West. We are talking about one of the most heavily populated areas of the county. Look at a map and think. You hit the nail on the head with the fact that building more roads does not equal less traffic congestion. I’ve seen this in more than one academic study. If a city widens a highway, the traffic will fill it in; narrow it, and traffic jams are not the necessary result. Also worth noting, 150K vehicles a day on this part of the BQE really isn’t *that* many. As someone pointed out, more people ride the 4/5 train on a typical day. Will the city take the brave step and dismantle the cantilever? Sorry about any confusion. I do not believe you can “wish the traffic away.” Not complicated. I respect Mr. Stringer, and out of the box thinking is great, but this is like Y2K without its even being possible to prepare adequately. The BHA plan still looks to me like the only alternative to CO levels in the Hts that will do serious harm. Who wouldn’t want new parks together with saving money? If it looks too good to be true – as this does – it’s usually because something has been overlooked. Sounds like Mr. Stringer does NOT know Bklyn. On what planet can you magically shunt BQE traffic onto the Belt Pkwy? Mr. Stringer says that mass transit will make it work. I’m way beyond skeptical about that. I’m 100% aligned with that priority. But if they evict cars from that stretch of the BQE, every avenue NOWHERE near the equal of the BQE will be full of idling cars from 5 AM to 10 AM … and the same in the evening. Atlantic Avenue, Boerum Pl., Cadman Pl. W.
And it’d do an even bigger number on the nabes near Third through Eighth Avenues. I’m not crazy about asthma in all those neighborhoods, and that’s what will happen – at epidemic levels. Maybe, there’s some truth in “if you build it, they will come,” but if you force the cars onto streets with lights & pedestrians, those cars will not disappear! If subways in NYC were in good shape, it’d be worth “running the numbers.” Given the shape they’re in, Mr. Stringer’s proposal is nowhere near viable. 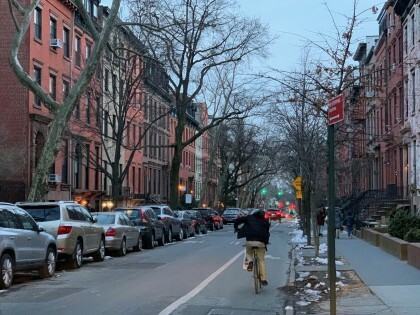 Given his important City position, his proposal may get serious consideration, but if it does, it’ll attract more flak than congestion pricing did, because BOTH motorists and communities like Park Slope and Boerum Hill will SCREAM. They would be even worse off than the Heights under either of the DOT plans, and that’s saying something! The panel at the BHA annual meeting was very good. One take-away – when you are addressing an issue like the BQE, you need to step back and take a broader view. Which is: there are way too many cars on the BQE. According to a handout, 87% of passenger cars had no passengers, only the driver! People from Queens, Long Island, NJ, etc should not be driving into the city. Why are we accommodating them – and at what cost? Solutions? Steep fees for cars, just like in London. And/or? Catch up with the rest of the country and build park-and-ride lots, strategically located near outlying subway, train, or express bus stops. It’s the 21st century, we always need to be rethinking the ways we do things. Seoul is larger than NYC, and the Cheonggyecheon was built in the 70s. It served more drivers than the BQE does. I see no more redundant roadways in Paris or SF than here. Again, you make the mistake of making over simplified, thus false, comparisons. Seoul has only a million more people but has less than half the per capita car ownership. Seoul has only one river running through the city, NYC is a city of islands with access restricted to bridges and tunnels. South Korea and the United States have different cultures and transportation infrastructures. And many other differences. What works one place doesn’t mean it will work elsewhere. I’m a non-car owner, so it shouldn’t be that hard for us to find common ground. And even for the (guess) 50% of Heights residents who have cars, they’re surely used far less than, say, they would be on Staten Island. People from Queens, Long Island, NJ, etc should not be driving into the city. I think it would be a very good thing to find out WHO the drivers are (in general) and why they opt for driving into the city. Many young people (and not so young) have taken advantage of Citibikes, but for the majority who can’t or won’t, the fact is that even a subway and a bus (problematic, that change) just entail more walking than they “can handle” to get to and from work. You’re right about keeping one’s thinking “up to date.” Uber, Lyft, etc. HAVE BEEN game-changers, much like AirBNB. Those ride services have a cause and effect relationship with ever-deteriorating subway service. If Stringer’s proposal were adopted so as to make driving in the city EVEN MORE UNPLEASANT, I predict that a big chunk of the drivers will become the single passenger in a for-hire vehicle. Given the BQE’s route through Brooklyn, ferries look very promising to me, and I know they’ve ramped up quite a bit over the last 10 years. What I don’t know is whether they could be scalable to 5-10x existing rush hour traffic & next to nothing outside those 2 windows. If making it more efficient to drive into Manhattan is the goal this is a lost cause. One cannot reason with a person who has this as an objective. Ironically, the Google StreetView of 150 Henry has a film crew on the stoop. Claude, if you can please remove the link to the “Cobble Hill Blog” under the home menu. The domain has been taken over by a malicious domain squatter. DO NOT CLICK THE LINK. Hardly what I would consider a “film crew”. Looks to be some students filming and using the house and stoop as part of the set. I’ve seen many an amateur use Love Lane or stoops for student film or art projects. They’re a crew making a film. That makes them a “film crew”. Size is irrelevant. Nobody said anything about size. The insinuation is that this “film crew” paid for the use of the area and caused disruptions throughout the neighborhood which was the original point. A rational observation would note that this is a bunch of students, and not professionals, who are filming. Stop the presses: today, I saw one of the Goggle Bros. walking around Joralemon Street. So happy he’s doing well. Godspeed! If you can’t see the irony, I’m sorry.